How blemished does an apple have to be before you turn your nose up? Well, the supermarkets think not very. In fact, supermarkets, on your behalf, won't accept many blemishes at all. 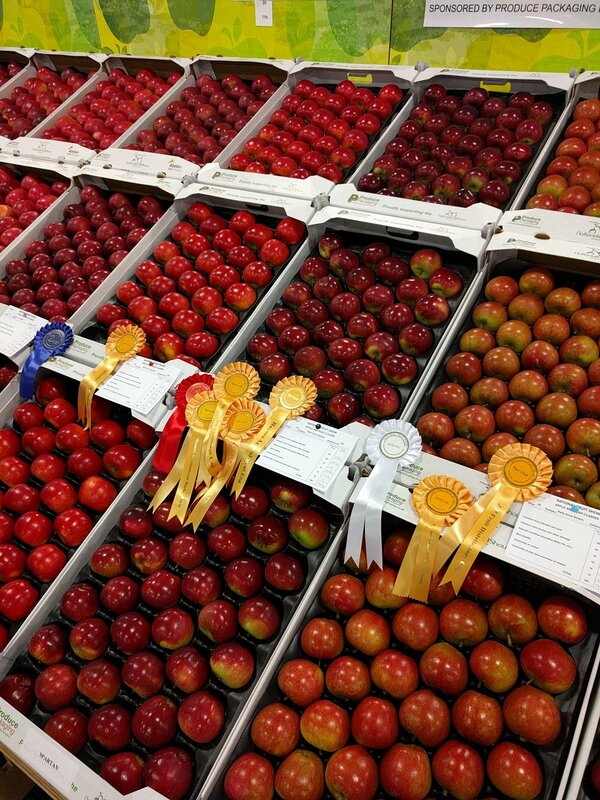 I was at the UK Fruit Show last week and took this photo of some extremely shiny apples. Perfection not far removed from what we are presented in the aisles. New friends and local apple farmers, Peter & Gina, farm a few hundred acres a mile or so from the distillery. In early summer this year, a freak hail shower passed through their orchards when the apples were golf ball sized, affecting a little under half the crop. 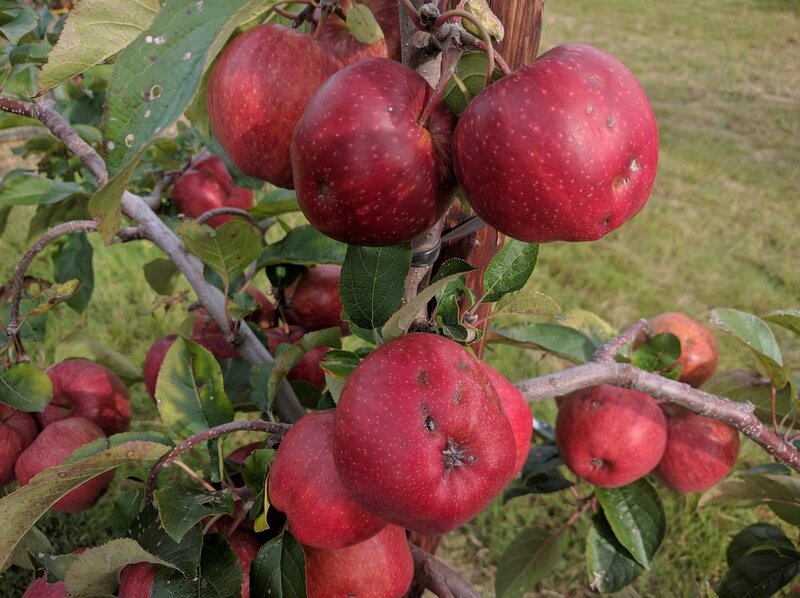 The photo below is of one of the worst affected apples; most had one or two small dimples on, but still enough to make them unsaleable to supermarkets. The fruit is now fully ripe and delicious, but can only be sold as juicing stock. Such a large amount of juicing stock causes a problem: it won't generate enough revenue to make it worth running the cold stores so needs to be sold straight away. This is the raison d'etre for Greensand Ridge Distillery. To be able to step in and take what may end up as waste, support local farmers and use amazing produce for mouthwatering spirits!